​The Wavestream range is designed to support cleaner seas in leisure marine, power, sail, commercial, workboat and big ship bilge pumping operations. Our MiniBOSS IMO system uses Wavestream technology for larger and typically more commercial vessels. To find out more about our Wavestream technology, please see our Youtube video. Wavestream is used in all types and size of craft, available in 4 sizes. Multiple cartridges and stainless steel systems also available. 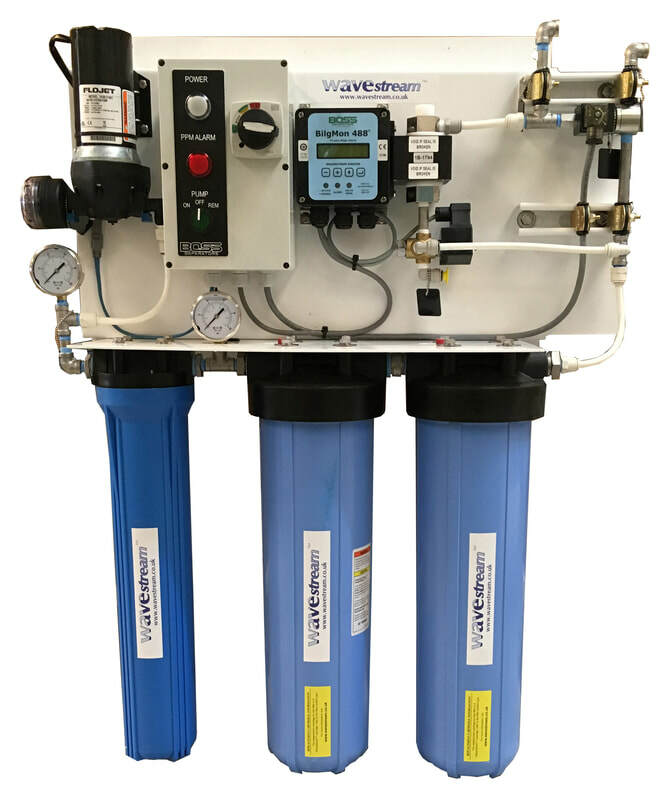 The Wavestream system is simply installed in the system after the bilge pump, ensuring that only clean, oil free water is discharged overboard. Cartridge change out should be part of a regular maintenance schedule and changed at least every season. Recommended pump head of 4 metres all systems. Lloyds Register of Shipping Type Approved. 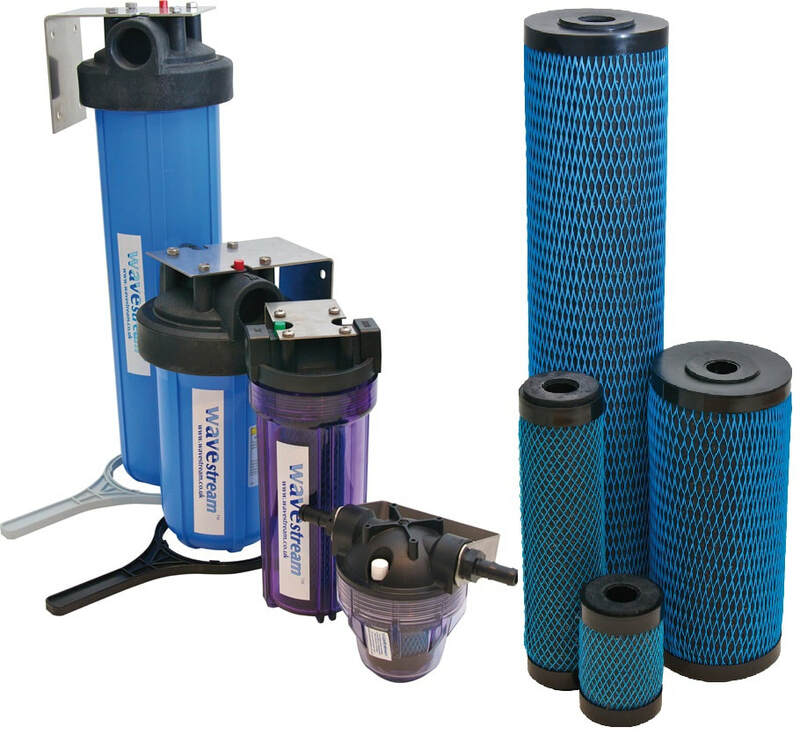 MEPC 107/49 certified bilge filter system giving effective control and prevention of oily bilge water discharge using Wavestream System 3 filters. IMO certified Oil in Water Monitor with 18 months data logging, 2 models available. US Coast Guard Type Approved. Wavestream MiniBOSS 24 24v DC maximum flow rate 0.25M3/hr. Wavestream MiniBOSS 110 110- 240v AC maximum flow rate 0.35M3/hr. Compact, light and easy to maintain with Wavestream high capacity cartridges.